How Do You Choose An Animal Communicator? Here at Animal Talk we strongly believe that there is no problem we can’t solve with you and your animal companions. We believe that without talking with your animals, there really is no successful way of knowing if your animal is happy and living the life they deserve. It is our privilege and mission to acknowledge the wishes and desires of as many animals possible on this planet; therefore we expect to provide you with the highest standard of service and integrity when you deal with Animal Talk. However, we are aware that as animal communication becomes more and more popular, there will be more animal communicators out there. This industry is not regulated so you need to be diligent about who you choose so you are providing the best for your much loved animal companions. There is no governing body to keep standards at a high so it is up to you to find out who is in that category. It is quite common for businesses to offer weekend courses to learn introductory levels of skills in animal communication. This enables you to communicate with your own animals or for family and friends. However, unless they are enrolled in a practitioner level course that qualifies you at completion to practice as a consultant, then this does not qualify people to work at a professional level. We strongly recommend our students against practicing unless they are a qualified practitioner, as we don’t believe they have had sufficient training to be qualified as an expert or will achieve a high level of accuracy. Everything you do well, takes time no matter what it is. Can you be a vet in a weekend? Can you be a beautician? Can you even be a good tennis player? So how can you possibly be a professional communicator even if it was a week of training? Would you put the life of your animal in the hands of anyone less than the best? As a client, you have the right to ask your consultant how long they have studied and who taught them. It is highly important that you feel comfortable with your consultant as they are claiming to be a professionally trained communicator. To be a master at any job, extensive training and mentorship is highly important. Here at Animal Talk we aim to create the standard and regulation of our industry. TO be a part of our vision, check out our Practitioner’s Course. 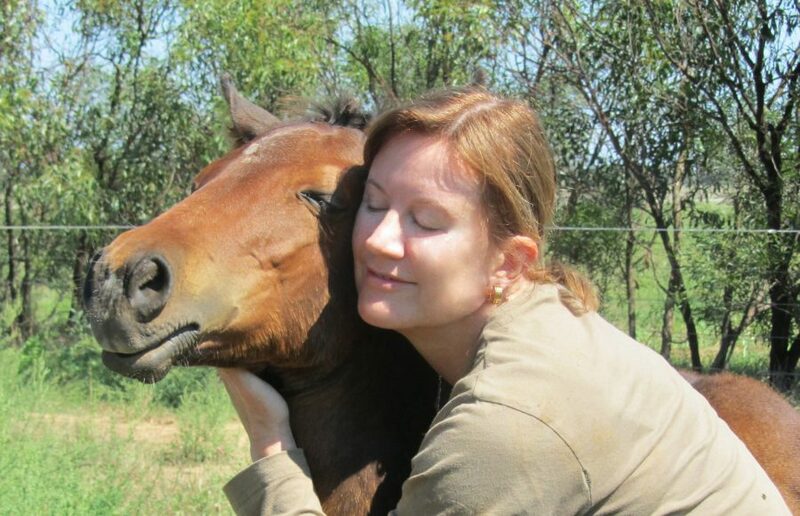 It is the only comprehensive animal communicator’s practitioner course of its kind in the world. CLICK HERE to learn more. It is very easy for us to feel comfortable with a practitioner that has had many years of experience and training in their profession. It shows quality and trust in what they have to offer. It is just as easy for a consultant to say they have had years of experience and training, when it may not always be the case. They may have had on and off experiences over 10 years before they began consulting professionally, which is not enough. Especially if they only do this on the weekend. Is it a profession or a hobby? You can ask your consultant how long have they been practicing, and whether this was in a professional capacity or just for their family and friends. Many communicators are only doing animal communication part-time and offering other areas of business totally unrelated. Wouldn’t you want your animal’s life in the hands of someone who is only dedicated to animals and not splitting their focus or time. As the client you have the right to ask as many questions you wish. Is the Animal Communication Accurate? A great animal communicator is based on their ability to relate the innermost thoughts, feelings and desires of your animals. And we know that you know your animals better than anyone else. If you feel that the communications you are receiving don’t sound right, then speak up and ask your consultant. There are reasons things don’t resonate with you. You have a right to clarify what your animals are saying and your consultant should be happy to clear up any confusion for you. This one may not seem as crucial, but I assure it is highly important. Your consultant should be happy to disclose who taught them and who helped develop their skills. There is a distinct difference between practitioners that were taught by mentors and those that were awakened to their skills and self-taught. There is a vast difference in quality because you need to look at animal communication from many angles. You as the client have a right to know this information. I personally was reawakened to my animal communication abilities by a cat named Beau and could freely and naturally communicate with animals. However as my background is in dentistry and am a university graduate I know how important it is to be properly qualified and that continued learning is essential to maintain my expert status. So I sought out the most qualified and experienced mentors in animal communication and travelled to America several times to learn from these amazing people. They opened up incredible insights and areas of learning I was unaware of, which is why only self-taught people can be self-limiting. I also travelled to the UK to a world-renowned college to study areas of my field. You can never get enough learning and in fact I love it. If animal communicators want to do the best by animals they will ensure they have the best qualifications possible. After all if you were having an operation don’t you look for the most highly qualified doctor? I consider this the same thing because as an animal communicator you are dealing with the outcome of animal’s lives. For instance we are assisting in their health – animal medical intuitive. We are dealing with extreme behavioural issues and need to solve the problem. We are also dealing with euthanasia cases where we are asking the animal if they are ready to travel to the other side. We need to be highly accurate as we are effectively giving the okay to for that animal to be euthanized. You as the client are consulting with us because you want to carry out what your animal wants. If consultants are not accurate then you could be enforcing the opposite to the animal’s wishes. If your consultant is claiming to be an expert then make sure they are and make them accountable. Who taught you how to communicate with animals? Are you full time or do this as a hobby? Do you only concentrate on animals and animal communication? Do you have practitioner level qualifications? What areas of communication do you specialise in? How long did you practice before you began professionally? Animal Talk’s goal is to clean up the animal communication industry to provide you, the client, with highly qualified consultants offering a high integrity service. We understand how important it is for you to be getting the truth and accuracy from your animals about their needs and wants. We see it as our mission to ensure you receive a top consultation from us or anyone taught by Animal Talk.